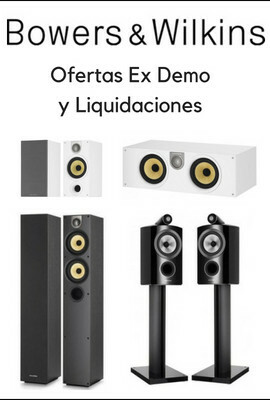 3 Salidas Digitales (S/PDIF, AES/EBU y EIAJ-TosLink). Procesado de las Señales de Audio para su conversión a 24 bits/192kHz. 3 Convertidores D/A Burr-Brown PCM1792. Mecánica de Transporte de Nivel Profesional. archivos MP3, WMA y AAC. Mezcla Estereofónica de Señales Multicanal. Salidas de Vídeo Compuesto y S-Vídeo. Control del Sistema mediante Pantalla Táctil LCD. Toma de control RS232 (actualización de software y control). Tomas de disparo de 12V. Dimensiones (An x Al x P): 445 x 121 x 419 mm. It is alive! More than twenty years after the first CD players arrived on store shelves, the compact disc format is alive and well. Despite challenges by DAT, mini-disc, SACD and DVD-Audio among others, the CD remains the gold standard for music lovers worldwide. Music collections often contain a variety of recordings using everything from compressed files such as MP3, to uncompressed, high-bandwidth, high bit-rate formats such as DVD-Audio. Most collections, however, are dominated by the compact disc. For this reason, no serious music lover/audiophile should be without a top-quality CD player. The ClassÃ© Design Team has developed the CDP-102 and CDP-202 as two-channel CD players, perfectly suited for the needs of the contemporary music lover/audiophile. Although capable of playing a great variety of discs (CD, MP3, DVD-Video, DVD-Audio, etc. ), the CDP-102 and CDP-202 are optimized for playback of two-channel music. ClassÃ© Disc Player Platform The CDP-102 and CDP-202 utilize the advanced platform introduced by the ground breaking CDP-300 DVD Player. As in the CDP-300, the CDP-102 and CDP-202 utilize a TEAC Å½ slot-loader mechanism for reading discs. It was chosen in place of the older drawer-loading designs because of its superior disc-handling characteristics, reliability and control flexibility. Elimination of the drawer also facilitates a greater range of installation options. Loading remains convenient even when the player is mounted at or above eye-level in equipment racks, where placing discs in trays can be awkward. Fitting neatly within the Delta series model's black control strip, the slot is illuminated by a soft blue light to assist when loading discs in a darkened room. The CDP-102 and CDP-202 share the beautiful industrial design and elegant control screens found throughout the Delta series range. They are the first CD players to offer touchscreen control and video preview on the front panel. The preview feature allows audiophiles the option of enjoying a pure music listening session without video, because DVD-Audio (or DVD-Video) discs may be navigated directly from the front panel. The ClassÃ© CDP platform is a 'from the ground up' design. It features special vibration-absorbing feet, a strong and rigid chassis and DVD-ROM drive. The drive, also used in the CDP-300 DVD Player, is capable of reading CD, DVD-Audio, DVD-Video, DualDisc, MP3, WMA, Video-CD and S-VCD discs. A special test/monitor output allows connection of composite and S-video signals to standard definition displays. CDP-102 The CDP-102 utilizes the same digital and analog audio circuit topologies as the CDP-300, with the exception being the number of output channels. As a two-channel machine, the CDP-102 down-mixes multichannel recordings (from DVD-Audio or DVD-Video discs) to two channels for its left and right analog outputs. Digital outputs may provide either two-channel or multichannel signals, as would be available from Dolby Digital Å½ or DTS Å½ recordings. Regardless whether analog or digital outputs are used, the superior performance of the CDP-102 begins with careful routing and clocking (timing) of digital audio signals. The presence of jitter at the point of conversion from digital to analog increases distortion and robs the playback system of resolution. To reduce jitter in the CDP-102 (as in the CDP-300), digital audio signals are routed through a CPLD (Complex Programmable Logic Device) and sample rate converter. They are re-created as 24-bit/192kHz signals and re-clocked before being output to the D-to-A converters. By attacking jitter at its source, the ClassÃ© Design team makes great sounding audio possible from a variety of digital formats. Stereo DACs (with 8x digital filters) perform the delicate process of converting digital audio to analog. Both channels of the stereo DAC are themselves converted as differential signals. The CDP-102 offers both single-ended and balanced analog outputs. Unlike other designs offering both formats, the single-ended (RCA) path is fully optimized and independent of the balanced (XLR) path. While the balanced path is truly differential, from the output of the DAC, the single-ended path benefits from the differential topology as well. Instead of using one half of the balanced signal to derive a single-ended output, the CDP-102 employs a differential amplifier to properly combine the two signals and gain the benefit of common mode rejection from the balanced topology. In addition to its superb sonic performance and touchscreen control the CDP-102 offers a suite of advanced features to enhance its value in a diverse range of installations. Among them are variable analog outputs, two-channel down-mix of multichannel recordings, bi-directional RS-232 control and preview capability for navigation of DVD-Audio or video discs. 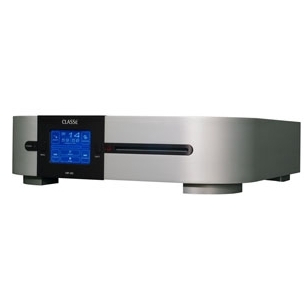 Although conceived as a world-class CD player, the CDP-102 delivers far more than spectacular sound from CDs. For versatility, performance and style, the CDP-102 is clearly in a class by itself. CDP-202 The CDP-202 is functionally identical to the CDP-102, with additional resources devoted to achieving the best possible audio performance. Digital design and layout technologies are used to maximally attenuate jitter and isolate the audio sub-system from the rest of the player. These techniques ensure the digital-to-analog conversion stage operates at maximum precision. Designed using low noise circuit and layout techniques, the Left and Right balanced analog audio circuits employ their own digital-to-analog converters and operate in a true "double balanced" mode, ensuring a very high dynamic range. In other words, each half of the balanced signal is itself converted and handled differentially. The post conversion filters are designed to tight tolerances to ensure precise matching. In this way, the full potential of dual differential conversion is realized. The single-ended Left and Right channel circuits are designed to the same level of quality and operate independently from the balanced circuitry. The single-ended circuit design utilizes its own, independent digital-to-analog converters and post conversion filtering. The CDP-202 is designed to provide maximum resolution and enjoyment from a wide variety of music sources. When used together with other high quality system components, the CDP-202 delivers amazing sound, serving up the music in true reference-component fashion. 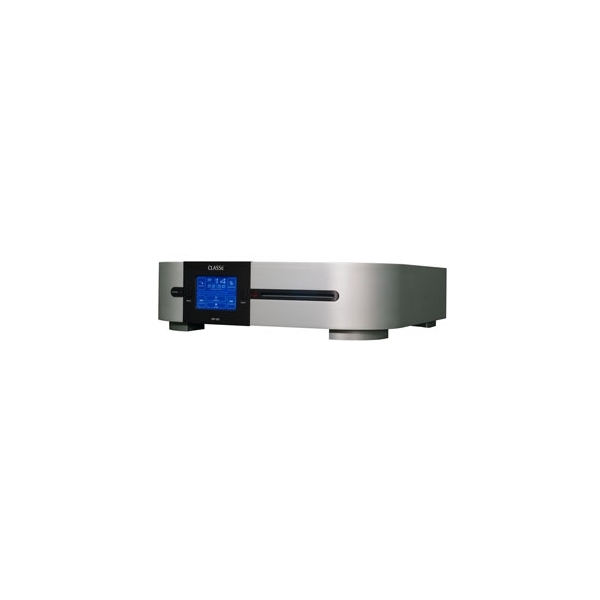 CDP-102/202 Summary Points Audio Compatible with CD, CD-R, CD-RW, DVD-Video, DVD-Audio, DVD-R, DVD-RW, DVD+R, DVD+RW, MP3, WMA. dts-CD, Video-CD and S-VCD formats. All audio formats are up-sampled to 24-bit/192kHz prior to Digital-to-Analog conversion. All audio formats are decoded internally before Digital-to-Analog conversion. A concurrent IEC958 (SPDIF, AES/EBU and TOSLINK) output is provided. Audio from DVD playback is output as IEC958 (SPDIF, AES/EBU and TOSLINK) for decoding in a Surround Sound Processor with a concurrent 2-channel analog audio downmix. Multi-channel DVD Audio is output as a two channel analog downmix. Two channel DVD-Audio is output via the 2 channel analog outputs. DVD-Audio output via IEC958 (SPDIF, AES/EBU and TOSLINK) is determined by disc authoring. Left and Right channel analog audio outputs are provided with both XLR (balanced) and RCA (single-ended) connections. Analog outputs may be selected for fixed or variable. Control Color touchscreen user interface with video preview mode. Bi-directional RS-232 control. CAN BUS ports for inter-ClassÃ© component communication . Rear panel IR and DC trigger sockets . IR Remote control with backlight and ClassÃ© system Function Keys.